Please scroll down this city page for useful links and information regarding the different Grand Prairie community information. If you are looking for a new or resale home The Tom Brewer Gold Team will not only locate it for you but I will take care of your mortgage needs at preferred rates as well! If you are buying to occupy the property or considering investing in Real Estate, I have developed numerous money making tips for your benefit as well. If you are relocating to the area, a first time home buyer or selling your current home we have the services and technology that you will desire from your real estate professional. Please refer back to my home page for more information on this or other Tarrant County cities. Please do not hesitate to apply on line to recieve a personal mortgage quote. 30 Acres- Priced to SELL!! Zoned Agriculture currently-City designation Commercial use. Prime for Retail, Multi-family, Medical, COM. Development. Hard corner Marshall- Belt Line Rd would be super for Convenience store - gas station. . Grand Prairie - Great Property- Great Opportunity. Sign is on property. Minutes from major Frwy's-30E, 360,161-George Bush Tollway, Loop 12, 20E. PRIME LOCATION. 11min from Ikea. Property is located with 15 min. My research looked at data about Grand Prairie Texas homes for sale from numerous sources, including Fortune and Money magazines and The Census Bureau numbers. Some samples based on the research: Grand Prairie's average home price is well below the national average but the median family income being above $50,000.00 which is above the National average for similar communities. Grand Prairie Texas was ranked the in the top fifty most affordable and attractive U.S. market by most authorities on the subject. The average price in Grand Prairie for such a home? Try $138,000 - well below the national average in similar communities of $223,950. That's the Texas Market today. According to the latest research, essentially that same 2,200-square-foot house in Dallas averages $288,278; in Fort Worth, $191,250. The variance can be substantial in different city limits. My research findings revealed that Grand Prairie ranked in the top 75 best places in the nation to own real estate for 2010 and 2011, with appreciation projections running between 1 -3 % in the next few years. Grand Prairie is a thriving city located conveniently between Dallas and Fort Worth, a quick commute to Dallas/Fort Worth International Airport and has access from I-20, I-30, and Highway 360. It offers many dining and entertainment options, parks, shopping, theaters, Joe Pool Lake, and much more. 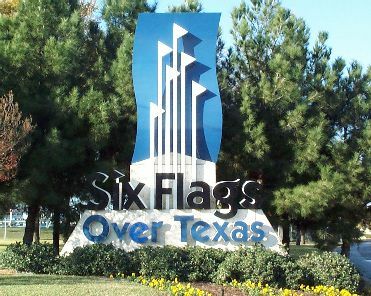 Many attractions that are just a short drive away include Ameriquest Field which is the home ballpark for the Texas Rangers and also Six Flags Over Texas Amusement Park and Six Flags Hurricane Harbor. In searching for a home, there is plenty of new construction as well as existing construction to choose from you.DFW has low unemployment, tremendous sports teams from the Dallas Cowboys, Dallas Mavericks, Texas Rangers, Dallas Stars , FC Dallas and more. The area has one of the youngest and fastest growing populations in the country. The Metroplex has about 5 million residents including all the surrounding suburbs. 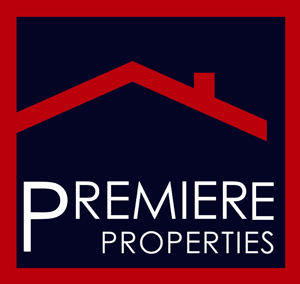 As a perspective buyer or seller of real estate it is an exciting time to be considering Grand Prairie TX homes for sale. Texas Christian University and Southern Methodist University and 7 other universities, colleges have upwards 70,000 students making it a great recruiting place for employers. The DFW Metroplex business growth is rated one of the fastest growing job growth areas according to Money and Forbes Magazines. Grand Prairie, Texas is located between Dallas and Fort Worth. Three-quarters of the population are under the age of 45, and many residents are in their early thirties with young children. This has contributed to the fast pace of development of the Grand Prairie Independent School District. Recent fund raising efforts by the district have allowed for the opening of new schools, which are now serving more than 20,000 students. Grand Prairie is not only great for families, it's beautiful as well. Many of the homes that you'll find for sale in Grand Prairie contain a host of amenities. You'll find real estate that includes features such as granite counter tops, built-in storage areas, media rooms, pools, jetted tubs, smart-wired homes, and lake views. In addition to the interior features of the homes, you'll also find many styles of construction, from traditional homes to innovative contemporary designs.